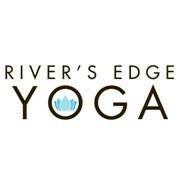 Start taking classes at River's Edge Yoga and other studios! Build strength, flexibility and endurance in this adaptive approach to yoga. A green yoga center in the heart of Old Town Alexandria that offers Ashtanga yoga for yogis of all levels! There are no upcoming “Yoga Sage” classes on this day. Bring your mat and water! We are located on the corner of North Fairfax and Montgomery Streets, a brief walk from the Braddock Road Metro Station. The studio is on the second floor above the Wheel Nuts Bike Shop. Please note: the main entrance door is open from 9:00 am-5:30 pm on week days and locked after 5:30 pm on week days and on the weekend. Please ring the door bell for admission to the building if the main entrance door is locked and have a seat in the lobby area while waiting for your class to begin.